... And a little contest! It's that time again! We are working on our Summer issue of BE WISE Magazine and looking for lovely Instagram Profiles to feature. 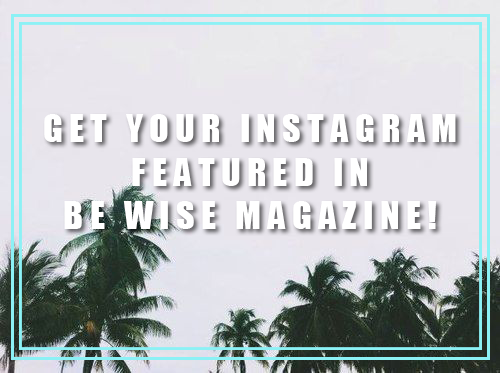 If you would like your IG to be featured in our next magazine hashtag your photos with #bewisefeature for a chance to win! GOOD LUCK!